There are two "labomen" versions. Oh my, this sounds like some weird release history, to be sure. Manga-news only lists two versions of the box, so I'd assumed one was the Labomem one and one was not. x.x"
How thick was the TV artbook in the Labomem version? That defunct Anime store listing says it was 2x ~90p artbook. 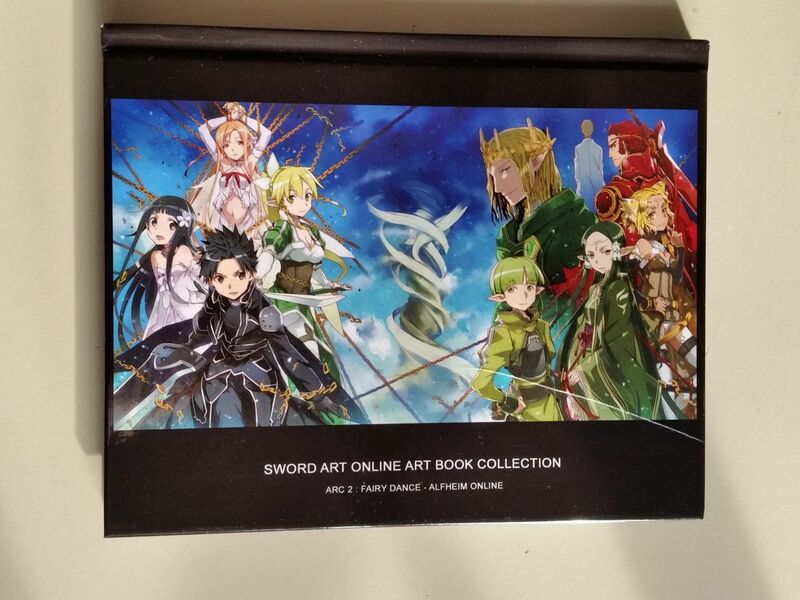 Did the current normal version's artbook get a bit bigger, but lost the second artbook? If it's not, I guess not much lost there. Don't like the movie too much and I'm having the JP movie LE on my searchlist, anyway, because of one of the drama CDs. Ah, so that was you blog! Had been browsing though it before already, lol. That's an... interesting phrase. Something didn't translate quite right there I think, though I believe I get your meaning. I think the main reason the UK doesn't get these older shows is that sales would be so low they wouldn't offset the costs of licensing them for distribution here. They aren't well known or popular. France had a lot more anime on TV in the '80s and '90s, long before the UK ever did, so like you say there's nostalgia in France for these shows that simply doesn't exist in the UK. Interesting about Eureka 7. Do we know if AL/@A have the licence for France? in the first version of labomen (which is no longer available), is in amaray. The @anime fr's answer is fuzzy : "it is not in our priorities"
For the IDP version, it's exactely the same contain than the Labomen 2, so Digipack, the same disc, the same contain on the disc etc ... just you will not have te second artbook and the pin's. Is there some way to filter those unboxings out? (Or is there some French word for unboxing?) Every so scarece French unboxing I come by, doesn't seem to use any keyword that's googleable. Is there some realiable alternative? As expected, France only. >_>"
Are those digipacks having BD height or DVD height? Given the ratio it kinda looks like BD size? Given that the movie is apparantly packed in with no cover sleeve that actually appears like the much bigger joke to me... But yea, the alias is kinda disappointing. But if the art gallery is intact I guess that's fine. I'm mostly after the key illustrations artwork. Seems like video vide the Japanese complete boxes are the only ones really complete (with beta and the IBM ads), but the Standard is just a big amaray case (at 150€) and the LE's packaging design is a bit... bland (though it does have a thick book, that given by yahoo auction images has bits of storyboard pages and character designs.) But yeah 500€ before shipping and import fees. x.x"
It's probably really just two digipacks with no chipboxes, is it? Damn, digipack combos are really bad for ditching the DVD half duplicates, too. x.x"
I guess I will remain by my stance. Those A4 boxes are a total design fail in terms of ergonomics. Not even frankensteining can save it all that much. >_>"
ebay? but it's often risky. If it weren't for that moronic size (and coming after the US edition) I may have gone for that one. The price is pretty low given it's 2 seasons of a fairly recent show. You mean the question about the forum? Some other user here has mentioned that the French (and Italian) version was a huge improvement to the Japanese first release and and the US masters, which are full of banding. I had seen that review video then and was puzzled, because I see no diffrence at all at the example images. (which didn't quite match up with what was being said in the video about the French being better.) But apparantly, that's because the review video is a yt video that is compressed itself. Well, I guess my frankensteining plan just went to the trash bin. .___. Who would be "him"? The seller (anime-store if I buy from them)? Dybex? Sorry x), it is Anime-store, and yes you can write them back with an e-mail. Anime-store or Dybex, as you wish ! Wait, you French folks complained about having the Saphir Edition, because it was too cheap? I hope it's just me misunderstanding, but if it's not, I must wonder about French shelf storage ergonomics. *cough*. French people complain about everything. "saphir is too cheap" "there's a blue line on top im not buying it" etc. The sales were too small for justifying budget releases like those. So then they made collector A5 sized boxset, nobody bought them (literally). Now they switched to A4 and it does okay. I think the A4 set are great. Somebody has to tell me what's the point of a tiny ridiculous A5 sized artbook in which you can't see **** (and the images are scalled to allow nice margin and all, so you cannot see anything in the end and you just notice the artifacts of the printer rather). Yeah why are they speeding up BDs? No clue, Kana has two production pipeline, one is in partnership with IDP while the other is handled by them. I'm guessing Boruto is them messing up because that's not something IDP would do (and has ever done?). Are all of those version actually accurately A4? Some seem to have something close to it, but not quite exactly judging from unboxing images. Kaze Germany used to be ADV and Karate France used to be Kaze. Then Viz (I think it was) bought both of them up and since Kaze was supposedly the more spread brand name ADV went to be Kaze, too. So there are connections and they do collaborations, but they are generally independent from each other. Excuse me what? Before Kaze Germany there was a company called AV Visionnen, which was called before that Anime Virtual? They have nothing to do with ADV. While ADV did have an attempt at the German market, they didn't last long (it was more about them selling some of their titles that they didn't sublicense to other publishers rather than seriously entering the market). Which, after some research seems to be the non-Labomen version, as the Labomem version has a digipack not Amarays inside. (Like so: Steins;Gate édition Labomen VF/VO! ) Am I completely off? What's the second artbook book you mean? Long story short, there's the Dybex subbed, Dybex VO/VF and IDP edition of Steins;Gate. The ones from Dybex have the two artbooks (I highly recommend that edition to whoever speak French and likes Steins;Gate, it's really great). The IDP edition takes only the first book and lacks the second one (and so half of the art). The Dybex subbed version is long OOP. As a side note, the subbed version was on 4 blu-ray while IDP authoring is on three (it's the one that was reviewed and reported as great by ViC and they reused the previous authoring to make theirs, usually IDP authors things right). That's because there's some distributors that respects the japanese contracts which state that one publisher cannot sell their release outside of a given region. I guess it'll bother people more than anything but it still shows that there are pros and others. Considered looking on sites like fnac.fr by the way? It's usually rare to see people complain about something being too cheap. I saw a lot of complaints over AL France being way to expensive, but it's interesting people this the other way round, too. So then they made collector A5 sized boxset, nobody bought them (literally). Do you mean like the first release form Swort Art Online? I agree, that the artbook is kind of not so great, but they also squeezed a lot design content onto one place, so it's even more small. Now they switched to A4 and it does okay. I think the A4 set are great. Somebody has to tell me what's the point of a tiny ridiculous A5 sized artbook in which you can't see **** (and the images are scalled to allow nice margin and all, so you cannot see anything in the end and you just notice the artifacts of the printer rather). I think it's ok, if you don't squeeze to much on one page, the Japanese BD release books aren't all that much different either. If it's having a lot of art I guess I still prefer it like how AL UK did it with FMA's UE. You can take the BDs and put them normally in the shelf and the Artbook can be stored seperately with your artbook colelction. The Korean Hyouka is like that too, there is this big box, you can take the BDs out and place them normally in the shelf, because their digipack have their own riding chipbox. I also htink AL's UE sizing is really unhandy, but there you usually can put the digipack/amaray out and normally in the shelf. .... Though perhaps it's just a matter of quantity, if everything's uniformaly bigger, I guess it doesn't stick out as much as a sore thumb as the weird sized to for me now. Are they known to repair things in re-releases? Given how Naruto went, there probably will be some boxes at some point. Just took another look at that Monogatari A4 release, does that Dybex format then just always use DVD sized cases, to make it move less and IDP adjusts it to the Blu-ray sizes? Incidentially, what was that with the Monogatari releases? They do the A4 combo, then there is Saphir and Gold and then they put those DVD-sized combos out, so the only ones getting it in uniform size are the DVD collector's? Did the Gold DVD sold that much ahead of the others? Or is that that you can just pull out the A4 combo's slimpack DVD cases and put them next to the others? My bad, remembered the company name wrong (all of them starting with A...) Cheers for the correction. So the authoring of the sub-only release might not be as good as the other one as stated in the review? btw, is that illustration that the first Japanese series box and the French Gold Box have as a cover in those books, too? Kind of like that image. Which until now looked to me completely the same as the one anime store had and given the price I didn't pay anymore attention to it. But that also looks very much the same as the Anime-store one. ebay only seems to have the anime store ones with no sleeve of the movie. I live some 155km away from Strasbourg, I probably could actually go there by bicycle once spring comes by. That's the reverse, the subbed only release gets the best encode as it has got four BD50 (which are all almost full). The series was then reencoded by IDP authorer and it's still very good, way above the Japanese release that has all that terrible bending. As for the artwork you're referring to, no clue. I need to check it. Dybex booklets covers the series and the movie by the way. Monogatari; that's the same as S;G. There are three edition pretty much. There's the subbed only release which was a DVD-BD combo. Discs were in two "old-large" dvd packs in thin cardboard housing. There's then two reprints (VO/VF) that have the IDP boxsets in them. One contain the saphir releases, the other contains the gold releases. While the encoding is good, I wouldn't recommend that release. You should go for just the saphir release rather. And no there's no rule regarding what kind of dvd or blu-ray case Dybex use. It can be either sole digipak, digipak with housing or DVD-BD with housing. It's usually written what they are using for eah boxset. The Steins;Gate subbed release had both (dvd had a dvd-sized housing box and blu-ray had a blu-ray sized one). Some people dislike it as it lets the box moves slightly more but as long you don't play maraca with those set they'll age just fine. A4 thing: well, nobody has a space where they're storing vinyls, special editions of comics, blu-ray, etc.? Because it fits perfectly next to them. The space argument is kind of weird because then I see people using Ikea Billy to store their anime and there's plenty of empty space everywhere. What you're looking for is a forward service. I don't know if there's any to be honest. It's too expensive from my place to do it, you should ask the other french or belgian forumers if they're willing to help you. Alsready have the Saphirs~ Got Bakemono even twice after I found it it actually had VF, which I only learned after somebody said that the subsequent releases did not have VF unlike that one. I was also ready to jump onto the other releases, until I heard they were DVD sized... .___." For many things the product preview images show what in, just they didn't do that for S;G.
But I have moved on to put my anime in staple boxes (moving and another move in the soonish future sure makes that more attractive) and I just found the perfect staple boxes for BD-height releases. Everything else now goes into big boxes and I start doing some 3D puzzling with it. But aside from the storage factor, I can't picture myself liking A4 digipacks, I already don't like digipacks when they have more than 3 faces/panels attached to each other. It forces me to put the thing down on a table to be able to remove the disc, instead of, like, taking it up to the player and get the disc out free-hand (one hand holding the digipack, the other taking it out), without your one hand's grip on it feeling it like it will slip out and fall to the ground. There aren't many official forwarders and most don't really warrant the costs. Last time I wound up to just bulk buy some stuff, have it delivered to a hostel and combine it with a trip to Paris. (Only to find out the Japanese Book Off had closed just a few month before my trip. ;_; ) After that I was mostly just fine with those shops that do sell to Germany for the Manga and occasional Anime I wanted. Oh btw. speaking of BD quality - Is the BD release of Last Exile any good? Seems to be the only one around for Season 1 aside the Japanese box. If even the French are confused themselves I guess I don't need to feel too stupid anymore, lol. A4 digipaks? Where do you see this? I don't remember any. The digipaks used in those boxset are always either DVD or BD format sized. Last Exile was also released on Blu-Ray in Germany by Nipponart. It's an upscale but I suppose the french release is good (as in the upscale category: on par with the Japanese release) as it is authored by IDP. By the way, there's a sleeve with the movie, you just need to ask them to send it to you if you find a boxset without it. Otherwise it should be included in all orders thar they handle (they are literally on all the sales platforms).